To continue our celebration of April being the international month of the military child we are looking at how brilliant our children are at school and how we can ensure that they get all the support they need. The Little Troopers Primary School resource pack launched in July 2017 and we have had lots of feedback from parents and teachers on how it’s helping. We also recently got funding to expand the project to include a secondary school resource pack and a military child well-being course. In a recent survey we found that military families had moved an average of six times during childhood and 95% of those children attended local state school for their education. As we know military children can have a new school every two years, which is one of the reasons why many military families are choosing to go married unaccompanied and buy their own home. 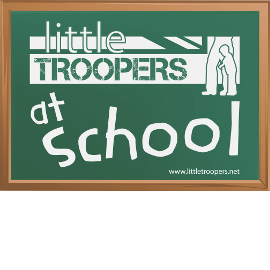 Our Little Troopers at School project was created to help teachers find resources and information that can help military children in their school and to help parents better understand and support the transitions and challenges of military life and education. Whether you do move regularly or live in your own home the schools project and our resource pack could help. The Logan family have the British Army running through their heart with their Dad, Major Doug Logan serving with the Royal Horse Artillery and Mum Major Gayle Logan serving with the reserves in Andover. Callum 10 and Ruary 8 are used to living in an Army family but their Dad’s latest deployment has felt like a very long time. Dad was deployed in the summer of 2017 for a nine-month tour. Callum and Ruary’s school have set up a ‘Base Club’ and they use Little Troopers resources to do activities. 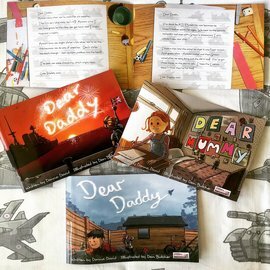 Gayle said “this has particularly helped Ruary as it has given him a forum in which to chat openly about what Daddy is doing and gives them fun activities to focus on.